We have designed a unique online service that offers companies large and small the ability to train their staff or clients from their own fully branded, custom designed, stand-alone online safety training website. 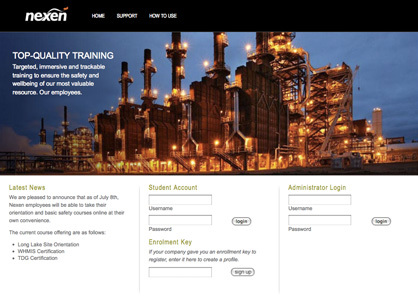 Each corporate training site is specific to the individual company. There are no additional yearly costs, only a one-time site customization fee, plus the cost per user. Additionally, branding specifications can be met along with custom automatic site emails, contact information and technical support. Using this site you are able to deliver training from a portal that looks and feels to your employees or clients like another part of your company website.